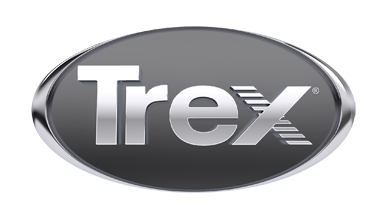 Winchester, Va., March 20, 2017 – What would you do with $10,000 in Trex materials? One lucky fan is about to find out. In conjunction with the first day of spring – and the official start of the 2017 outdoor living season – the world’s #1 brand of wood-alternative decking and railing has launched the “Build a Better Deck with Trex” Sweepstakes. Hosted on Facebook, the social promotion will reward one of the company’s more than 280,000 fans with $10,000 worth of Trex materials* to help them create the backyard of their dreams. Additionally, the winner will receive a personal design consultation with “Trexperts” Paul Lafrance and Kate Campbell, stars of HGTV’s “Decked Out” series. To get fans’ creative juices flowing and showcase the endless possibilities available with Trex, Lafrance and Campbell engaged in a friendly competition to see which Trexpert could “build a better deck” within the parameters of the sweepstakes prize package. Assuming $10,000 in Trex materials, each created a unique deck design – both of which are posted on the Trex Facebook page. To enter the “Build a Better Deck with Trex” Sweepstakes, all fans need to do is visit Trex on Facebook and vote for their favorite design on the sweepstakes entry form. Entrants can also earn bonus entries by sharing the sweepstakes via their social channels. The “Build a Better Deck with Trex” Sweepstakes is open to Trex fans and followers in the United States and Canada through April 14, 2017. To learn more and enter, visit www.Facebook.com/TrexCompany. For more information about high-performance Trex outdoor living materials, visit www.trex.com.